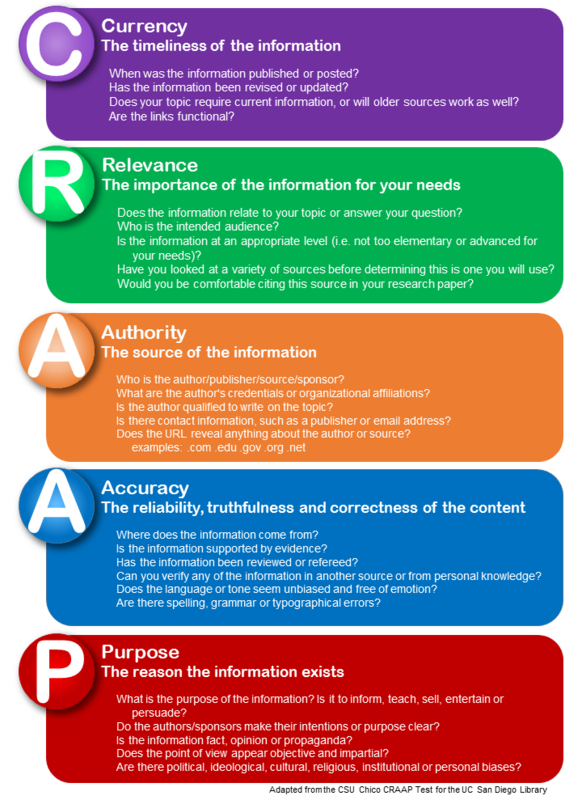 Use the CRAAP test to decide if an article, book, website, etc. is appropriate to include in your research paper. For a more detailed overview of how to evaluate sources and information, visit Purdue OWL: Evaluating Sources.